How Smart are "Smart Foods"? Coinciding with the launch of the EAT-Lancet “Healthy Diets from Sustainable Food Systems” report, Dr Colin Chartres, the Fund’s CEO, was invited to a workshop on Smart Food, which was discussed in the address by ICRISAT’s Joanna Kane-Potaka, Executive Director of Smart Food at our 2018 conference. In this blog, Colin discusses the importance of ‘smart foods’ and smart people for a healthy population and planet. Whilst this message is not exactly new – the late Professor Tony McMichael from ANU had been a long-time advocate of the environmental benefits of healthier dietary habits for over four decades, in my mind the growing effects on individuals’ health from obesity related diseases perhaps make the current arguments even more compelling given the fact that there are now about 2 billion over-nourished individuals worldwide, not just in the developed countries. Perhaps sheeting home the impacts of poor diet to the individual may have more influence on changing diets than previous concerns related to environmental degradation and health. Nevertheless, the impact of feeding almost 10 billion people by 2050 an increasingly westernised diet, within planetary boundaries including freshwater, soils, biodiversity and greenhouse gas emissions will have devastating effects. If adopted by 2050 it would mean a doubling of the intake of cereals, fruits, legumes and nuts and a 50% reduction in global consumption of less healthy foods such as added sugars and red meat, particularly in western countries. The Eat-Lancet Commission argues that by adoption of a healthy diet, combined with halving food waste globally and more sustainable production practices we can reduce CO2 emissions by half to almost 100%, and reduce pressure from agriculture on land, water resources and biodiversity. To a considerable extent the report ignores the significant role that income and protein from livestock plays for hundreds of millions of smallholder farmers. 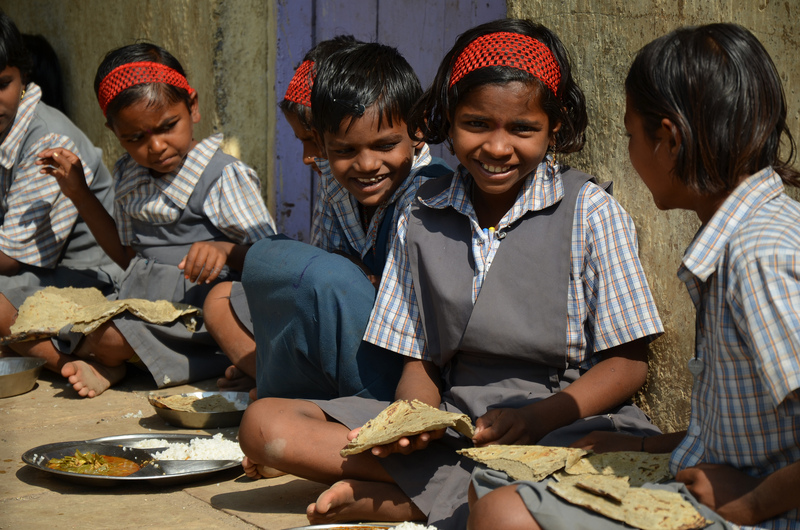 In many developing countries consumption of animal protein is already very limited due to cost and many women suffer from mild or moderate anaemia, and stunting in children is still common. Red meat, eggs and dairy products are a vital source of iron and other critical nutrients in their diets. The diets of the bottom billion of global society clearly need enhancing nutritionally and diversifying, and protein sourced from livestock is vital to them. Given the importance of this overall issue, I was fortunate to have been invited to a “Smart Food” workshop organised by the International Crops Institute for the Semi-Arid Tropics (ICRISAT) in Hyderabad, southern India, in mid-January this year. ICRISAT is looking at ways in which to promote the increased production of millet and sorghum. As argued by ICRISAT’s Joanna Kane-Potaka, Executive Director of Smart Food, at our 2018 conference (full proceedings are here) this can help increase cereal production to meet increasing global demand in a way that is ‘smart for consumers, smart for farmers and smart for the planet’. Some varieties of millet and sorghum are high in iron, zinc, folate, calcium, antioxidants, protein, and fibre and have moderate to low glycemic indices – this being smart for consumers. 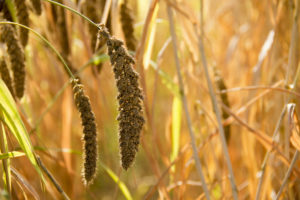 Millets and sorghum generally grow faster and survive with less water have lower nutrient demands than other cereals and – this being good for the planet. For the farmer, their drought and heat tolerance of millets and sorghum provides insurance against production failure, can be used as fodder and feed, food, biofuels and in brewing. To me, they seem a very sensible alternative to other cereals in environments becoming increasingly marginal as a result of climate change for the cultivation of wheat and maize. However, there is certainly more work required to increase their yields, confirm their nutritional qualities when processed and develop value chains that provide a steady market and potential to add value through processing. 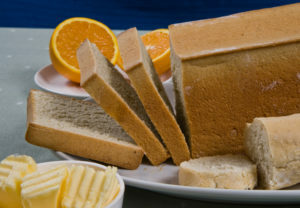 The fact that they are gluten free offers further niche markets in the west and they are about the only cereals that flourish across the Sahel, an area already suffering significant climate change impacts and human consequences. Having read the EAT-Lancet Commission report and attended the ICRISAT workshop set me thinking about the daunting challenges of both saving the planet and preventing obesity related diseases. Whilst changing human behaviour is difficult, it can be done based on sound continuing education from an early age. In comparison, researching the improvements required in specific crops, sustainable intensification and developing value chains is somewhat easier, but does require ongoing public and private funding. Recent cutbacks to the CG system and public sector, agricultural R&D across the world are an indication that policy makers have not yet grasped the seriousness of the food and associated planetary challenges ahead. These challenges to the planet are daunting. The challenges to public sector health budgets are only just beginning to be understood. We need to foster a new generation willing to take these on. Consequently, one area that the Crawford Fund will be focusing even more on in the next couple of years is demonstrating to the next generation that not only are careers in the agriculture- food continuum exciting, but that the work is vital to saving the planet! So in answer to my question in the article title – smart foods are vital, but smart people even more so, if we are going to stay healthy and save the planet!